A kitchen renovation is a thrilling, transformative project for your home, but before you can enjoy the gorgeous new appliances and stylish design, all the old parts must be stripped out, often to the studs. That kind of work naturally kicks up a lot of dust which can seep into every room if not properly contained. 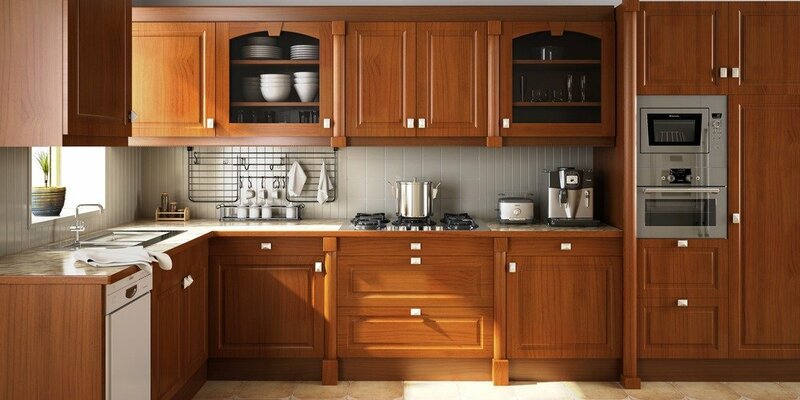 Check out these three ways to control dust during a kitchen remodel. Isolating the kitchen area where the construction is occurring is the best way to keep out most of the airborne dust. That means keeping all doors to the room closed, both during the day while the workers are there, and overnight, as well, so that drywall dust and other debris doesn’t drift out. Kitchens that are fully open to dens, living rooms, or stairwells will need hanging tarps to serve as the barriers. You’ll also need to isolate the room from the HVAC system, which circulates air throughout your home. Seal any HVAC intake duct that is within the construction area, otherwise the filter will soon become clogged with the construction debris and dust particles may shake through. Finally, ask your contractor if he can set up a sawing center in an outdoor area, providing the weather cooperates. This will not only cut down on noise, but also on sawdust in the house. During your project, old appliances, cabinets, countertops, and flooring will need to be hauled out of the kitchen to make way for the new ones to be delivered. That means there’ll be a lot of work boots, dollies, and boxes scraping over your lovely floors. Protect those floors from scratches, dents, scrapes, paint drips, and mud by rolling out protective canvas tarps. Alternatively, invest in super tough, non-slip fabric rolls specifically designed for this purpose. Cover the most-used path from the major entrance way to the construction area as well as the path from the kitchen to the nearest bathroom, for the convenience of the workers. To minimize the post-construction clean-up, it’s best to maximize your efforts to control the dust during the actual project. At the end of each workday, roll up the tarps and shake them free outside. Even the best-laid plans go awry, so it’s always a good idea to protect the furniture in nearby rooms with tarps, especially soft furniture like sofas and chairs, as well as bookshelves that sport trophies or other knick-knacks that would be a bear to dust. Your contractor will hang tarps and lay down vinyl sheeting for a pathway, but the protection of your personal property in an adjacent room most often depends solely on you. If you have any questions about how to contain the dust of the work site from the rest of your home, never hesitate to ask your trusted contractor.